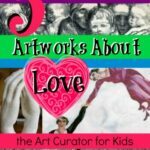 Hello everyone, I’m Emma from Science Sparks and am very excited about guest posting on Red Ted Art today. 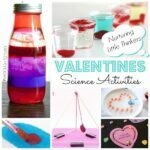 My blog Science Sparks is full of fun, creative and engaging science experiments and activity ideas for kids of all ages. Please do pop over to take a look or visit us on facebook. 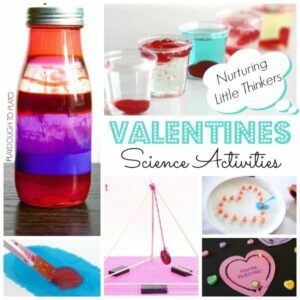 There is a great set of Valentine’s Day Science Activities here on Red Ted Art! Do take a look! 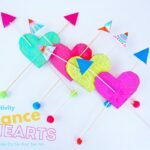 We’ve loved seeing all the activities so far in the 31 Days of Love series and especially like the paper bag puppets and crayon resist cards. 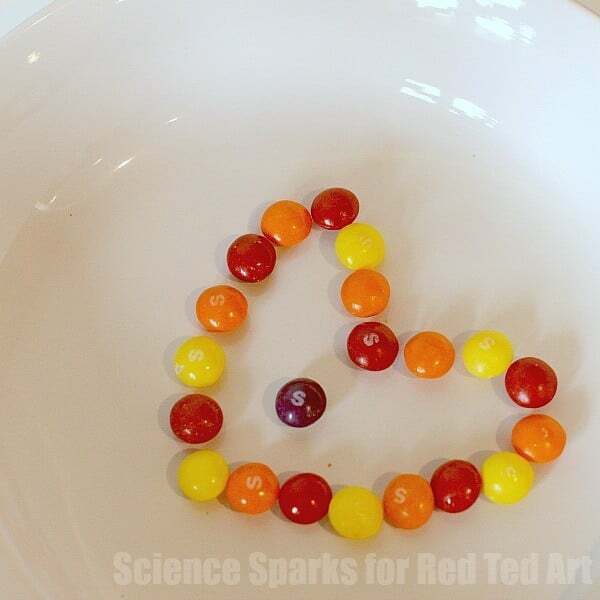 We’re going to show you how to make a colourful heart with skittles ( M & M’s or other colourful candy work as well ). 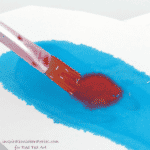 This would make a great mini science fair project or just a fun activity at home. 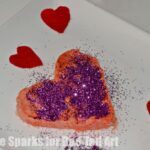 Place your skittles or sweets into a heart shape in your container, try to alternate the colours. 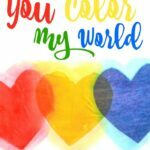 Can you see a lovely coloured heart? Skittles are coated in food colouring and sugar. 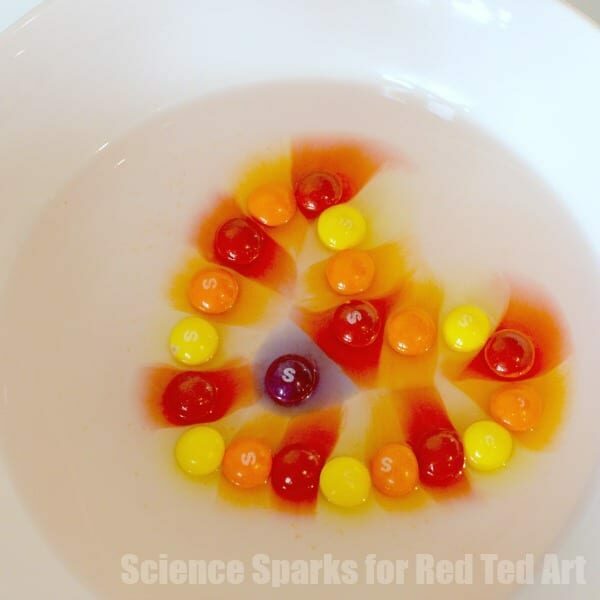 When skittles are placed in water the coloured coating dissolves and we see the colour spread through the water. There are actually two processes happening in this activity. 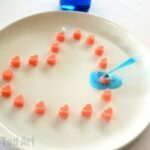 The colour and sugar dissolve into the water and then diffuse through the water. Do you get a bigger diffused area of colour from a larger sweet? Investigate what happens if you use hot and cold water. 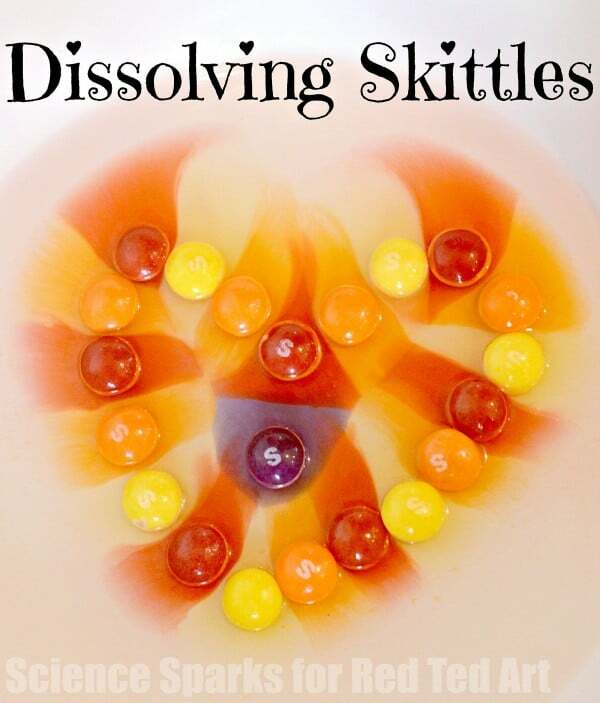 Do the skittles completely dissolve? Maybe even try vinegar, can you predict how this might be different? 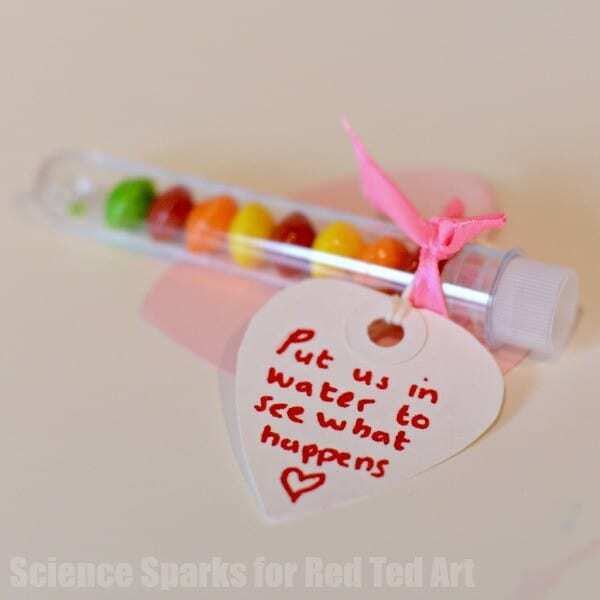 Put some skittles into a plastic test tube and give out to your friends for Valentine’s Day. 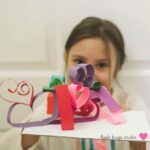 If you like this activity do check some of our other popular posts.